Works on the newest U S currency! 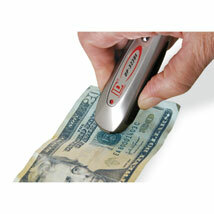 This convenient ultraviolet and magnetic counterfeit detector is easy to use and light weight. 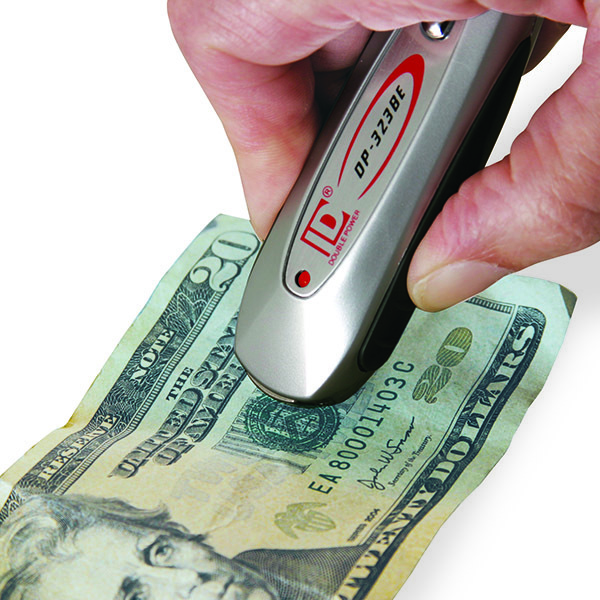 Press the UV (ultraviolet) button to identify the security thread and press the MG (magnetic) button and rub the top of the detector over the magnetic areas (bottom denomination border, face or the department of treasury seal). The detector will beep when the magnetic area is found Includes neck lanyard to prevent lost detectors. Includes 4 - LR44 button cell batteries.